After standing beautiful but vacant in Downtown Pittsburgh for years, the Commonwealth Building on Fourth Avenue is getting a new lease on life. In the past week, the Connecticut-based development firm JCS Capital LLC closed a deal to buy the building, and also won approval for renovations of the facade and interior from the City Planning Commission. Image courtesy of Jim Henderson / Creative Commons. In their presentation to the City Planning Commission on Tuesday, JCS emphasized that the construction phase for this new residential development would be optimized to cause as little disruption to traffic and daily life Downtown as possible. This rush of activity is remarkable considering the building was trapped in real estate limbo for the last 20 years. Originally constructed in 1906, the Commonwealth was once a fixture of Pittsburgh’s bustling financial sector. But as the industry here hollowed out over the course of the 20th century, so too did the buildings. Today, many of the old offices and bank buildings surrounding the Commonwealth, such as The Carlyle and the Keystone Flats on Third Avenue, have been remade into higher-end apartment buildings. JCS is planning the same future for the Commonwealth. The complex will eventually hold 150 new apartments by the end of the restoration, as well as retail space on the ground level. The developers partnered with the Downtown-based architecture firm Perfido Weiskopf Wagstaff + Goettel Architects on the design. Representatives from JCS could not be reached for comment on the timeline of construction or total cost of the project, but with financing and approval secured, work is likely to begin within the next several months. 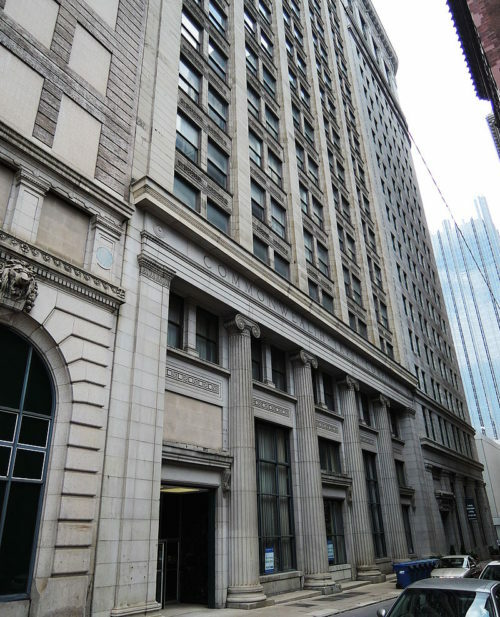 The post Long-vacant Commonwealth Building will become apartment complex Downtown appeared first on NEXTpittsburgh.